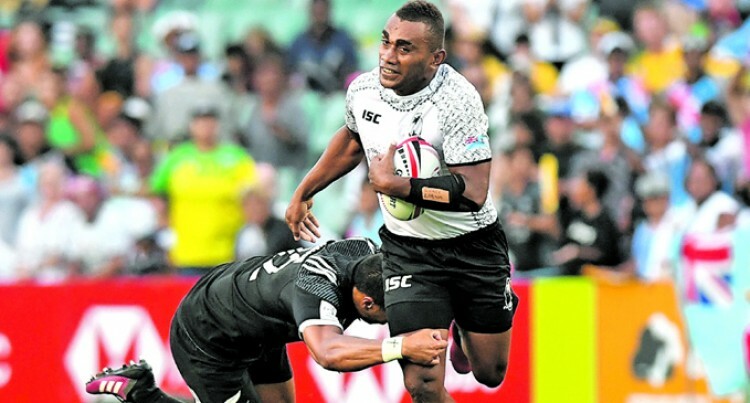 The man who influenced rising Fiji Airways Fijian 7s winger, Eroni Sau to switch from rugby league to union has not regretted his decision. Speaking to SUNsports yesterday rugby league development officer Lagilagi Golea said the decision made was to further Sau’s sporting career. “It was during the 2013 Battle of the Bati clash where the Fiji Bati rugby league team to the 2013 Rugby League World Cup in England was to be selected,” he recalled. Golea said he went to the dressing room after the announcement of the team to encourage the local-based players. The former Fijian Bati winger said the next day he called Red Rock coach, the late Lote Rasiga who accepted his request to take in Sau. Golea said as a development officer he always wanted to see his players make it to the highest level possible. Sau began his career with the Saru Dragons Rugby League club in Lautoka where he played for the Under-16 side and later went on to play for the senior team. He also represented the Ba Provincial College U19 rugby league team. Golea said Sau was focused on what he wanted so he stuck with Red Rock as they won local 7s tournaments as well as a few tournaments in Australia. He said Sau’s success in the World Sevens Series has not taken him by surprise. He said one of Sau’s strengths is his timely tackles which often rattle the opposition. Golea indicated that Sau will be our next Vili Satala. Satala a former national sevens and fifteens rugby star renowned for his bone-crushing tackles that earned him the nickname “Stretcher” while playing in the French Top 14 competition. Looking at the upcoming Las Vegas and Vancouver tournaments, Golea says, if Police and former Penrith Panthers U20 winger Sakeo Railoa gets selected then he is expected to form a deadly combination with Sau. “I would prefer to keep Sakeo on the wing while Sau plays at rover,” he added.